THE return of home-based Grant, Ritchie 0-4-0ST No. 21 (272/1894) from summer hire at the Telford Steam Railway enabled the Ribble Steam Railway (RSR) to turn out four steam locomotives for its annual autumn gala on September 29-30. While it was good to have the ex-Kinglassie Colliery loco back on home metals, the undoubted star of the weekend was Hudswell, Clarke 0-6-0ST Mitchell/Illingworth (1208/1916), visiting courtesy of Stephen Middleton and the Embsay & Bolton Abbey Railway. 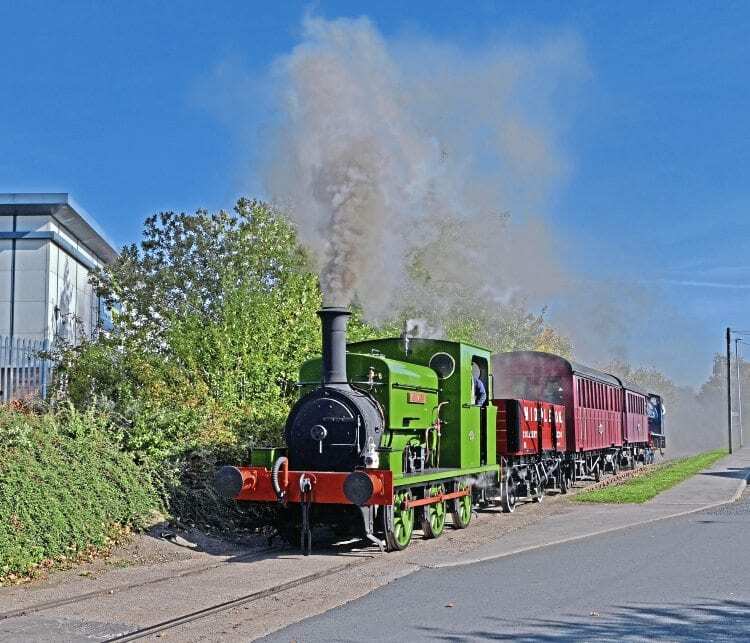 The elegant ex-Nidd Valley Railway loco has developed quite a following since the completion of its restoration earlier this year, and its appearance in Preston, along with decent weather, was a significant draw. Preston Docks lookalike Bagnall 0-6-0ST Courageous (2680/1942) and ex-British Steel Corporation Hawthorn Leslie 0-6-0ST Linda (3931/1938) were also in service, with the Bagnall being the only one of the four facing towards Strand Road.